Saw this today and I’m pretty excited. 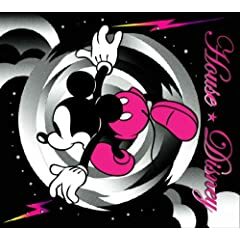 House☆Disney is a compilation of techno and dance tracks of Disney songs due out on January 28. I’ve been waiting for the next Mosh Pit On Disney, and although this doesn’t seem to be it, it sounds really great so far. Mono’s fifth studio album Hymn to the Immortal Wind will be released March 4 in Japan on Human Highway Records and March 24 on Temporary Residence Limited in the US. The album was recorded and mixed in Chicago by Steve Albini. A full orchestra was used in at least 75% of the album. They will be playing in New York City on May 5 in support of their album with a 23-piece orchestra. This will be their only North American performance of the year. Due to problems with my internet router, I still haven’t been able to finish This Month In J-Rock: November 2008. But I got it all fixed today so it should be done early next week. I’m also preparing This Year In J-Rock: 2008, my top 10 albums and top 3 EP’s of 2008. For a taste, check out my RYM: Best of 2008 list or the This Month In J-Rock archives. Here’s hoping 2009 is another great year for J-Rock! You are currently browsing the J-Rock Explosion blog archives for January, 2009.